If things go as planned, this Scheme will no doubt, go a long way in bringing about the much-needed private intervention in Nigeria’s transportation sector, which is a key driver of the economy. According to the World Economic Forum’s The Global Competitiveness Report 2017–2018, Nigeria ranked 127th out of 137 economies surveyed in terms of the quality of its roads and 131st out of 137 on the overall quality of its infrastructure. 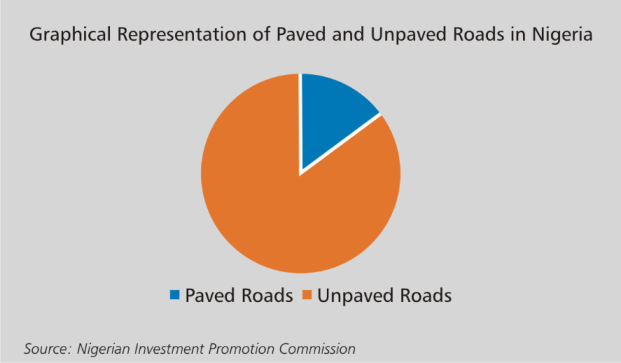 Another report published by the Nigerian Investment Promotion Commission states that out of Nigeria’s total road network of 193,200 kilometers (km), only 28,900km of road, representing 14.9% of the total road network, are currently paved. Factors responsible for the infrastructural gap in this critical sector may be traceable to poor budgetary allocations, absence of robust fiscal policy measures that encourage private sector investment in infrastructural development projects, among others. Consequently, in a bid to change this narrative and midwife the delivery of qualitative roads and transportation infrastructure to citizens and businesses alike, President Muhammadu Buhari, on 25th January, 2019, signed the Executive Order 007, 2019 titled “Road Infrastructure Development and Refurbishment Investment Tax Credit Scheme,” (the Scheme) otherwise cited as “Companies Income Tax (Road Infrastructure Development and Refurbishment Investment Tax Credit Scheme) Order, 2019” (the Order). It is accompanied by a Regulation for administering the Scheme. c) guarantee Participants in the Scheme timely and full recovery of funds provided for the construction or refurbishment of Eligible Road infrastructure projects in the manner prescribed in the Order. The legal basis for this Order is anchored on the provision of section 23(2) of the Companies Income Tax Act as amended (CITA), which gives the President the power to exempt by order, any company or class of companies from all or any of the provisions of CITA or exempt from tax, all or any profits of any company or class of companies from any source on any grounds. Participants in the Scheme (which are any Nigerian registered company/corporation, institutional investors or pool of companies registered with the Securities and Exchange Commission as an Infrastructure Fund and designated as a sponsor of Eligible Road under the Order or certified by the Road Infrastructure Development and Refurbishment Investment Tax Credit Scheme Management Committee (the Committee) to be eligible to participate in the Scheme) shall be entitled to utilize the Project Cost incurred in the construction or refurbishment of Eligible Roads as a Road Infrastructure Tax Credit (“Tax Credit”) against Companies Income Tax (CIT) payable. However, the Participant will need to enter into a Memorandum of Understanding with the Committee and have the Project Cost and completion timeline bid approved by the Committee in the registration process before the cost can be incurred. Participants are also entitled to a single uplift (essentially a compensation for time value of money spent on the project) equivalent to the prevailing Central Bank of Nigeria Monetary Policy Rate (currently 14%) plus 2% of the Project Cost. The uplift shall not constitute taxable income in the hands of a Participant or Beneficiary and shall be utilized as a credit against CIT payable. The Committee administers the Scheme and approves all applications for Tax Credit submitted by Participants. Upon the Committee’s approval, the Participant is required to approach the Federal Inland Revenue Service (FIRS) to obtain the Road Infrastructure Tax Credit Certificate (the Certificate), which shall be issued on an annual basis and upon the Participant’s submission of the required information. Participants are entitled to utilize the Tax Credit against their CIT liabilities in/from the relevant fiscal year, in which the Project Costs are incurred, until they are fully utilized. However, the amount that may be utilized in any year is limited to 50% of the CIT payable by the Participant or the beneficiary of the Tax Credit for that year save that the Tax Credit issued with respect to an Eligible Road in an Economically Disadvantaged Area (EDA) shall be available for utilization, in any year, without any limitation. EDAs mean areas or locations in any geopolitical zone or State designated as Economically Disadvantaged by the President, on the advice of the Minister of Finance. Any unutilized Tax Credit within the year whether arising by execution of an Eligible Road in an EDA or in any other area can be carried forward to subsequent tax years, until it is fully utilized. The Tax Credit is tradeable/disposable at a relevant Securities Exchange with the approval of the Committee. No other incentive is claimable on the Project Cost save for the Tax Credit. The Scheme is a ten (10) year programme that commences from the date of the Order. a) The scope of this Order appears wider than the Rural Investment Allowance granted under section 34 of CITA at the rate of 15% to companies that incur capital expenditure on the provisions of tarred road for the purpose of a trade or business, which is located at least 20km away from such amenity provided by the government. The scope of the Order is not limited to rural roads but to all Eligible Roads designated as such. b) Inherent in this Order is the fact that Participants who have incurred capital expenditure as part of the Project Costs in the purchase of non-current assets (e.g. plants, trucks etc.) deployed in the construction or refurbishment of the Eligible Roads stand the chance of recovering the cost of the capital expenditure in full in the first year of the lives of the assets. This is on the basis that Project Costs are recoverable 100% in EDAs in the first year of incurring the costs provided there is sufficient profit to offset the costs, whereas in other instances, the costs can be recoverable within a minimum period of two years provided also that there is sufficient profit to offset the costs. This would not have been the case under the existing provisions of CITA where the Participant is required to claim the cost in the form of capital allowance over an extended period of time (typically four years and above). c) Furthermore, the Order creates an incentive for Participants to fix Eligible Roads that are strategic to their businesses considering that they will be able to recover their Project Costs in full plus the uplift/compensation element for embarking on such endeavour. This may not have been possible under the pre-existing law. a) It appears that this Order is not in sync with the intent of section 23(2) of CITA relied upon by the Presidency in enacting the Order. Thus, while, section 23 generally relates to the exemption of the profits of certain companies/entities from tax, this Order substantially relates to the grant of tax credit to persons who have incurred costs on road projects. Accordingly, to the extent that the purpose of this Order is not to exempt the profit of companies to tax as provided by section 23 of CITA, but simply to create a legal basis where companies can build roads and have their costs refunded by way of tax credit notes, the Order may be challenged in court on the argument that the legal basis is faulty. However, a counter argument can be that given that the uplift element, which ordinarily should be taxable (considering that it has a character of profit) is treated as tax exempt under the Order, the Order is in line with the spirit of section 23(2) of CITA. b) The existence of the multi-layered Project Cost verification process that requires the input of the Committee and the FIRS may lead to inundated delays in the approval of the Tax Credit and the issuance of the Certificate as well as the actual utilization of the Tax Credit by the Participant. This process should be streamlined and performed by one government entity, preferably the FIRS. c) The scope of the Order is unduly restrictive given that the Order only grants the tax incentive to persons that are taxable under CITA and does not extend to the oil and gas majors that are taxable under the Petroleum Profit Tax Act who ordinarily should have the financial muscle to participate in the Scheme. d) The beneficial purpose of the uplift appears limited considering that it is a single uplift that can only be utilized once by the Participant in a relevant year and after which it lapses while tax credits could take several years to be recovered by a taxable person. If things go as planned, this Scheme will no doubt, go a long way in bringing about the much-needed private intervention in Nigeria’s transportation sector, which is a key driver of the economy. If transparently and efficiently implemented, the scheme would help curtail inflation of project cost by government officials and contractors, abandonment of road projects, timely completion of road projects amongst others. However, it is left to be seen whether investors will key into this Scheme considering some of these obvious drawbacks we have highlighted above.